Wedding Invitation. 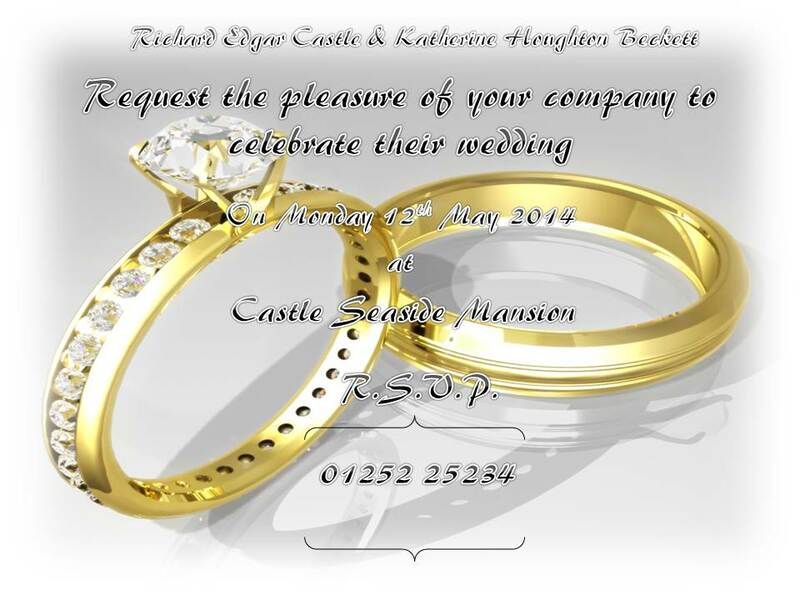 Rick & Kate Wedding Invitation. HD Wallpaper and background images in the قلعہ club tagged: castle season 6 stana katic nathan fillion wedding invitations.